Canine influenza is an infection in the respiratory system and if untreated, can develop into pneumonia. Because of the severity and how highly contagious the flu is, we will now require the canine influenza vaccine. It is Pet Network’s primary goal to keep your family members safe while in our care! Many veterinarians in the area are holding vaccination clinics for this vaccine, so check with your veterinarian to schedule an appointment and to learn more about the vaccine! 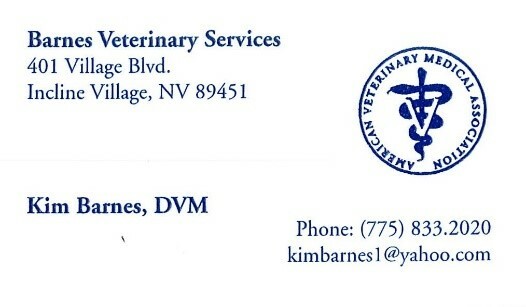 If you are a resident of the Incline Village area, you are able to receive the vaccine from Dr. Kim Barnes with Barnes Veterinary Services, located within Pet Network Humane Society! If you have any questions or concerns regarding this new policy, please give us a call (775-833-0273). Thank you for choosing Pet Network Humane Society to care for your pup! All proceeds go directly to support our shelter animals in need of loving homes!